She didn't use a "state.gov" account during her time at the State Department. Hillary Clinton used a private email account to communicate while serving as secretary of state, The New York Times revealed. Clinton's team has confirmed that she used a personal email account for government business but maintained that it worked within "both the letter and the spirit" of State Department rules. An aide later added that Clinton did not violate any laws and her team has turned over all relevant emails to the State Department for preservation. Did she have a government email account that she just didn't use? The Times reported that she did not have a government email account, which would have ended with a federal government domain -- in this case, state.gov. Such emails are automatically stored on government servers and kept as federal records. Hillary Clinton Email: How Secure Is a Private Account? Do we know what email account she did use? The domain "clintonemail.com" was registered the week before she was sworn in as secretary of state in 2009, The Washington Post reported -- but Clinton's team has not confirmed that she used an email at that address. 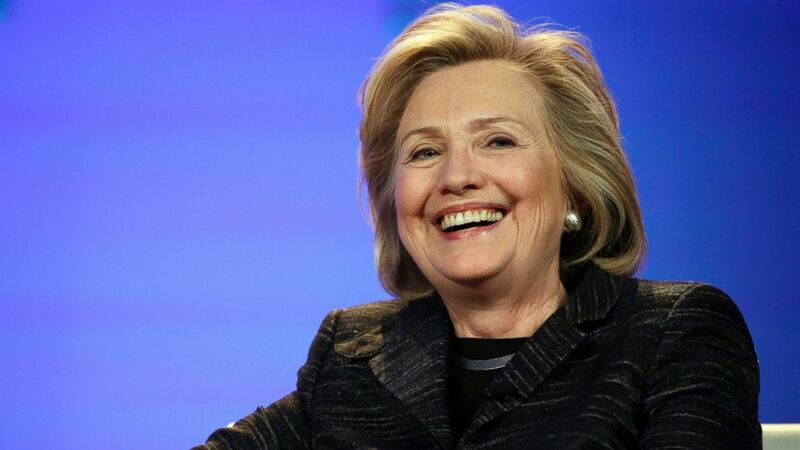 (Marcio Jose Sanchez/AP Photo) Hillary Rodham Clinton smiles during a keynote address at the Watermark Silicon Valley Conference for Women, Feb. 24, 2015, in Santa Clara, Calif.
Was Clinton's email use legal? There hasn't been enough information released yet to determine exactly what rules were broken, if any, but there are clear disclosure and security concerns. Government email accounts have their messages automatically stored as part of the Federal Records Act, and while it's clear that Clinton's personal account would not have fallen under that umbrella, her team noted that much of her correspondence still was covered, as a result. "For government business, she emailed them on their department accounts, with every expectation they would be retained," Clinton spokesman Nick Merrill said in a statement. However, as The Times noted, emails to accounts outside the U.S. government would not be covered by the same rules. Clinton's team now has gone through her personal emails and forwarded any dealing with official business to the State Department for preservation, White House spokesman Josh Earnest reiterated during the daily White House news briefing today. Earnest deferred numerous questions about the propriety of Clinton's private email use to State Department officials. How did the State Department respond? Spokeswoman Jen Psaki said that the State Department "has long had access to a wide array" of Clinton's records, including emails to people using state.gov accounts as well as diplomatic cables, but she did not explicitly address emails that Clinton sent that involved non-governmental accounts. Another spokeswoman, Marie Harf, said there was “no prohibition” on using personal email for government business as long as it was preserved. However, she could not say with confidence that Clinton provided the State Department with every relevant email from her personal account. Harf said no classified business was conducted on Clinton’s email. Could that account have been hacked? We don't know the extent of the security measures taken with her external account and whether they matched the measures taken by her colleagues who used government email accounts. Government accounts have their messages encrypted, for instance. Is she the first high-ranking government official to have done this? According to Merrill, Clinton's spokesman, no. He said that "secretaries of state before her" also used their own email accounts while "engaging with department officials." That response, however, did not specify whether those secretaries of state used both government and private email accounts or just private email accounts like Clinton did, and it didn't specify whether those secretaries of state were operating under earlier sets of rules governing government employees' email conduct. Without naming names, a senior state department official reiterated Merrill's claims that Clinton's predecessors practiced a similar private email policy. "It is our understanding that secretaries prior to Secretary Kerry didn't regularly use an official State Department account," the senior state department official told ABC News. However, two prior secretaries of state either exclusively used government email or used no email at all, and a third avoided private email for classified matters, sources close to them told ABC News. An official close to Condoleezza Rice, who led the State Department for three years preceding Clinton under George W. Bush, said Rice never used a personal email account for State Department business. Peggy Cifrino, a spokesman for Colin Powell, the prior secretary of state, said the emails he did send from a personal account were mostly unclassified in nature and that his office has pledged to hand over any required emails in keeping with new policies designed to track electronic communications from senior government officials. A former State Department official close to Madeline Albright, who preceded Powell as secretary of state in the late '90s, said she didn't use email at all. The New York Times reported that Clinton's use of a personal account was first discovered during a House committee's investigation into the 2012 attack on the American consulate in Benghazi, Libya. However, the State Department apparently just handed over a selection of about 300 emails to the committee two weeks ago. Rep. Elijah Cummings of Maryland, the ranking Democrat on the Benghazi Select Committee, issued a statement this morning saying that it has been known "for several years that Secretary Clinton used her personal email account, apparently following the pattern of previous secretaries of state." On top of that, anyone who received an email from her after she took over the State Department in 2009 would have recognized at the time that they were receiving an email from a non-state.gov address. Will this be an issue in the 2016 race? To quote another famous female politician, you betcha. Though Clinton has not yet announced her candidacy, her likely opponent, Jeb Bush, has already slammed her secretive move, saying that it lacked transparency. ABC News' Liz Kreutz and Jon Karl contributed to this report.